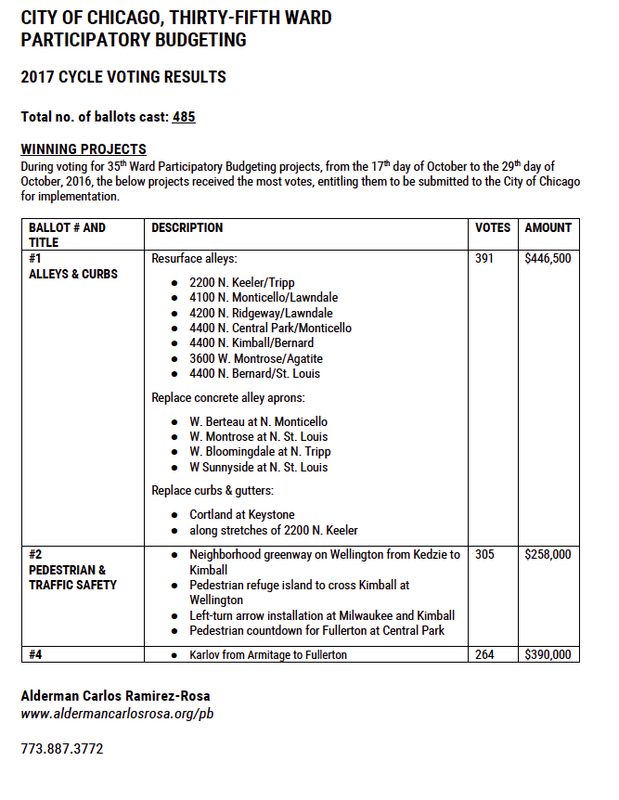 35th Ward Participatory Budgeting Results Are In! GREAT news! 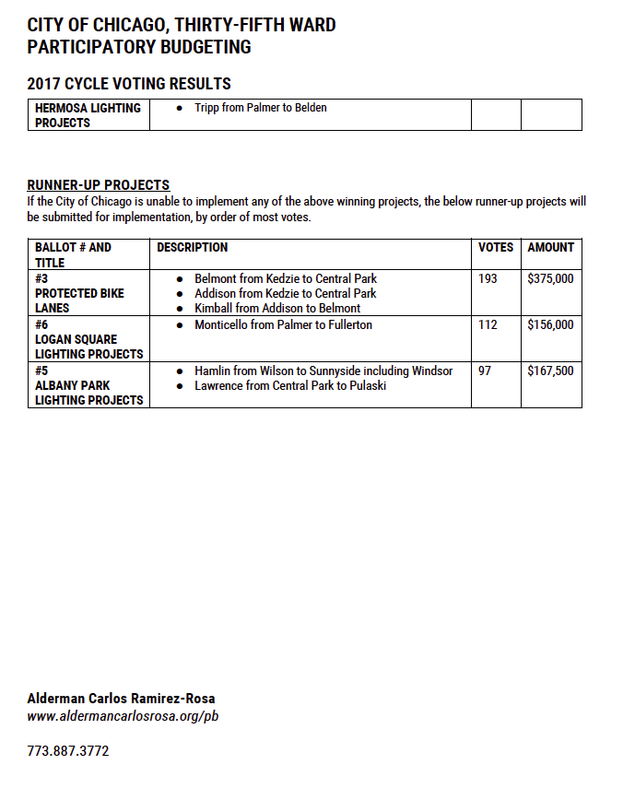 Participatory Budgeting (PB) results are in from the 35th Ward and ALL of Hermosa's infrastructure projects won! Special thanks to Alma, Matilda, Leticia and and Cirina for their hard work with obtaining the votes! Check out the picture below to see the items that will be earmarked for 2017 (item #1, item #2, and item #4, won). Newer PostHermosa tree planting BIG success! Older PostElection Day is TODAY! Make sure you know where to vote!